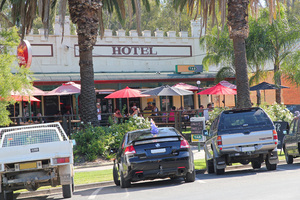 Tocumwal, located 257 kilometres from Melbourne on the New South Wales border, is the first stop on one of Australia's major inland routes, the Newell Highway. 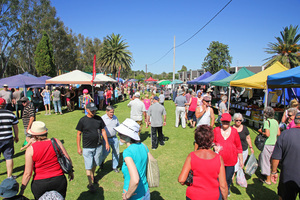 The history of tourism in the region goes back over 100 years, with visitors attracted to the magnificent sandy beaches (with 24 located within 5 minutes East and West of Tocumwal), all surrounded by some of the most impressive Redgum forests on the Murray. The Murray River and the tradition of free bush camping and water based activities continues to attract generation after generation returning to enjoy the water skiing, canoeing, swimming, camping, caravanning, bush walking and the vast array of native wildlife including over 150 different bird species. Wildlife abounds and it is not unusual to see kangaroos and koalas, wedge tails and wallabies in their natural habitat. Tocumwal and district offers some of the best quality accommodation on the Murray, with over 14 motels or self contained units and five caravan parks with beautifully landscaped surrounds, pools, spas, tennis or Redgum forest in the Tocumwal area alone. Prices are very competitive and service is of the highest standard, and offer something for every budget. 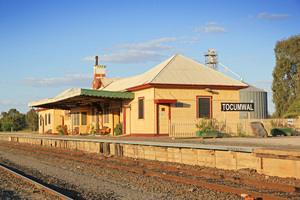 Tocumwal also has an interesting history to explore. Chrysties Museum in Tocumwal is one of the best private collections of eclectic antiques, collectibles and rare finds you will ever come across. It is the result of over 70 years of collecting so it is no surprise to discover it is spread over 4 acres. George Chrystie is owner and namesake of Chrysties Museum. George is indeed true to his word and prides the museum on having one of everything ever produced in the 20th century. From his prize Ford Zephyrs and 1930s-40s caravans, one of a kind tractors even many farmers would never have seen before, hundreds of old kerosene lamps to old newspapers and magazines, if you can think of something made from metal or wood, chances are George has one. 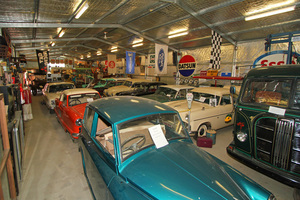 Chrysties Museum is located just out of Tocumwal on Thornburns Road and is open seven days a week from 10am to 4pm. Phone (03) 5874 3358. Source: What's On. Stop in to pick up further information on attractions, town & area maps, market dates and bookings, tocumwal accommodation information and area tours or purchase art or souvenirs.